Helicopter rescue scams in Nepal - a problem or a mountain squall in a tea cup? 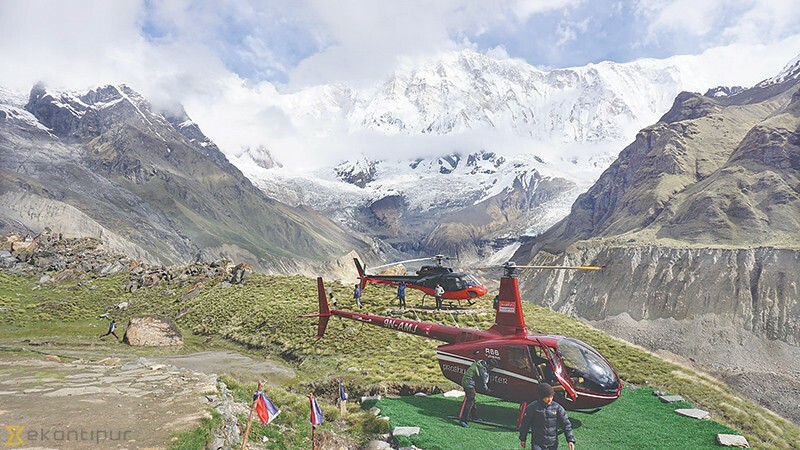 HomeHelicopter rescue scams in Nepal - a problem or a mountain squall in a tea cup? What’s going on in Nepal with heli-rescue? Do we need to be concerned? Recent press reports in the Kathmandu Post have raised concerns amongst trekkers in the run up to the 2018 trekking season that their policies may be cancelled as insurance companies panic about the uncontrolled spiralling costs of insurance claims for heli-rescue in Nepal. Is this cause for concern or a knee jerk reaction to a well-known problem? The British Mountaineering Council as long ago as 2013 highlighted the issue and have been imposing a separate policy excess of £500 for rescues in Nepal. According to the Kathmandu Post a number of global insurers are in discussion about withdrawing insurance cover for Nepal but will others follow or is this a mountain squall in a tea-cup! However, there is a need for trekkers and climbers to be aware of the dangers of readily going along with the advice of their trekking agent or guide where there is no obvious need for a medical evacuation. Most altitude sickness abates as the sufferer descends and hospital admission is not a necessity in most cases. For this reason, it is important to not take for granted what you are being told by a non-medic like a guide or trekking agent who may be financially rewarded for calling in a heli-rescue. If your insurer challenges the medical necessity for a helicopter evacuation there is a chance you will simply be taking a very expensive taxi ride back to base. Dadson further notes “Your contract of insurance is between you and the insurer who agrees to cover ‘necessary costs’. Whilst helicopter rescue services are treating insurance policies as a direct route to easy money, in reality, they do not have a contract or agreement with the insurers to cover any or all costs without agreement or assessment of need.” Perhaps it is time then, for the insurance industry to wise up to these problems and insist on justification for rescue before blindly paying out simply because an invoice has been raised. After all, if a helicopter can be called in, the insurer can be called as well to agree fees before they spiral out of control. As Nepal struggles to recover from the devasting earthquake in 2015, it is surely in the interests of their tourist industry, on which they heavily rely for foreign income, to regulate and control those providing emergency services but for the time being, travellers beware and check your insurance closely.